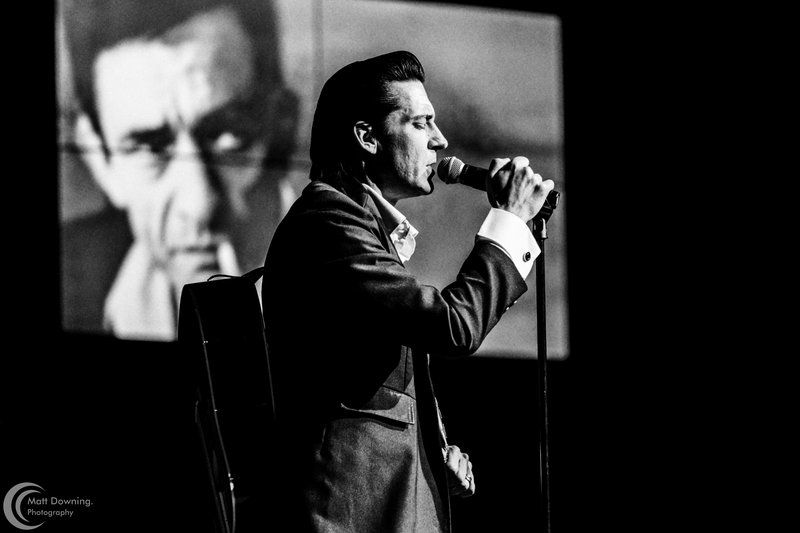 Shawn Barker strikes all the right chords as Johnny Cash in ‘The Man In Black.’ The St. Louis , Missouri native gives a noble salute to the genius whose songs ventured into country, blues, rock, and gospel aesthetics. ‘Hello, I’m Johnny Cash,’ greets a mellifluous voiced Shawn Barker in stylish dark coloured attire. How it is that four simple words can bring back such warm memories is a mystery yet just hearing them guarantees you’re at the hottest ticket in town. Make no mistake, the man, the songs, and his stories feel like the real thing. The Man in Black is a not a play but a full fledged concert composed of the guitar hero frontman and a seven piece band which includes two female vocalists to belt out the classic duets. This isn’t a show as much as an experience with more than thirty songs loaded with pure heart and total soul. Audience favourites that get trigger the warmest applause include ‘Long Legged Guitar Pickin’ Man,’ ‘Hey Porter,’ ‘Rockin’ Island Line,’ and ‘I’ve Been Everywhere,’ among others. Adding to merriment are brief accounts about the early days at Sun Records and stealing Carl Perkin’s drummer before forging an alliance with producer Rick Rubin to cover rock songs from by 90s hit makers. What makes The Man in Black such a brilliant salute to Johnny Cash is its ability capture the spirit of one artist’s personal freedom to live out life they way he saw fit. As for the rules along the way, they were meant to be broken just for the fun of it. If you ever wanted to see Arkansas sound pioneer perform live but failed to do so, The Man In Black is an authentic musical journey that turns back the clock with buoyant artistry.